Behind the buzz and mystique of Slum Sociable are long-term friends Edward Quinn and Miller Upchurch. The duo make lo-fo (not a typo) jazz hop, music born in Melbourne with truly global appeal. 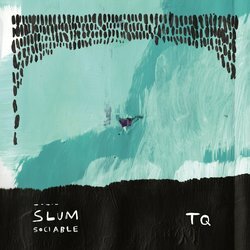 There’s no blueprint to their sound, just many elements – part jazz, part hip-hop, part trip-hop, part acoustic electronica – all cut up and bent into something unique to its Melbourne setting. It’s a fresh of breath air. Things are gathering pace for the band, with a brace of mini classics – ‘Anyway ’ and ‘All Night’ – released already. 2016 sees Slum Sociable maintaining this forward momentum. After the release of ‘Apartment’, the band will perform nationally at Laneway this Feb. The second single from their debut EP ‘TQ’, ‘Apartment’ is a hip-hop heavy combination of dirty guitar licks, groove based drums, hooky vocals, moody synth stabs and features some of the band's sexiest bass lines to date, all steeped in irreverence.... according to Molerat.